Healthy Living Resources- This website has been created with one goal in mind: to provide quality information in your journey to eat and live healthy! As we always say, eat flaxseed!... but eat flax, lignans + barley as part of a balanced diet, exercise + reduce stress! Not everything that works for one person will work for you or I... so, research, try new things + find what works best for You! Below are links provided to you as additional helpful resources. 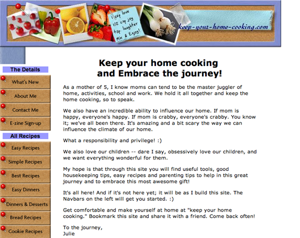 Keep Your Home Cooking Beautiful site by Lori Ramsey who gets the credit for my updated site look! She is a writer and web designer as well as a work at home mom of six beautiful children. Her site is a lovely place where she talks about her life and all she does. I highly recommend Lori and her skills if you ever need any website work done! 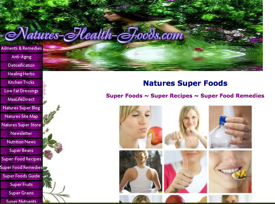 Natures Health Foods Natures Super Foods, Super Recipes & Super Food Remedies. Living Longer & Living Younger. Tons of information about Super Foods. Check out more info on the site. Keep Your Home Cooking This is a helpful site for home cooking, good housekeeping tips, parenting tips and tons of easy and delicious homemade recipes. Julie lives between the Phillipines and the US. Check out her recipes and useful info! 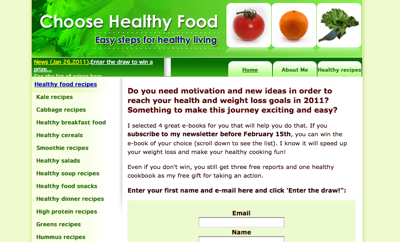 Choose Healthy Food This is a lovely site by Olga all about how to choose healthy foods. What I, of course, love is that she recommends flax oil on popcorn and flax oil in smoothies -check out her recipes and read more about eating healthy! Healthy Living Tips Healthy lifestyle tips by Sandy on food, drinks, stress management, inspirational quotes, exercise tips, benefits to exercise, sprouting and eliminating toxins. She talks about how the law of attraction impacts your healthy lifestyle. 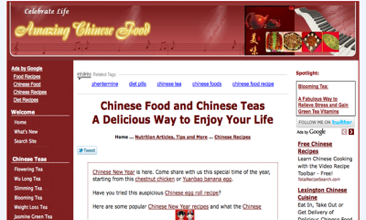 Amazing Chinese Food Delightful Chinese food experience in modern time. These time-tested Chinese recipes will let you celebrate your life Chinese style. Both your taste buds and nutrition needs will be satisfied. 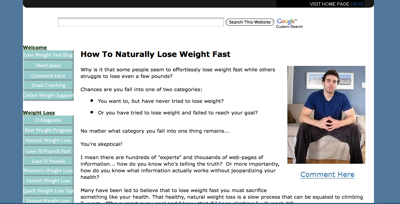 Naturally Lose Weight Fast Jason's website is an encyclopedia for great tips on how to lose weight fast. Build your own business using SBI's easy system and tools to learn how to build a website. 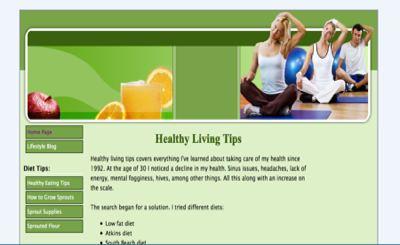 Return to Home page from Healthy Living Resources. Back to top of Resources.